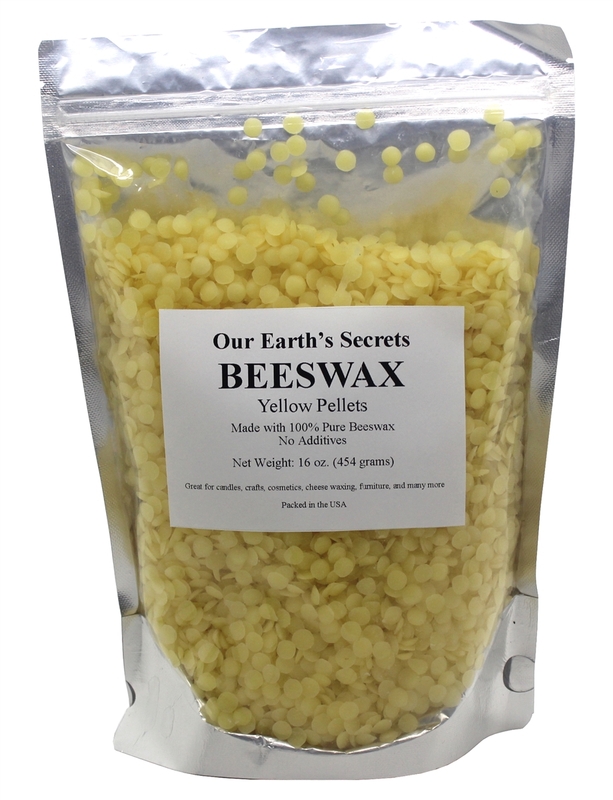 Our Earth's Secrets brings you 100% natural beeswax pellets. A bee consumes an estimated 6-10 lbs (3-4.5 kg) of honey for each pound of the wax it secretes. After honey removal, the comb is melted to produce the beeswax. 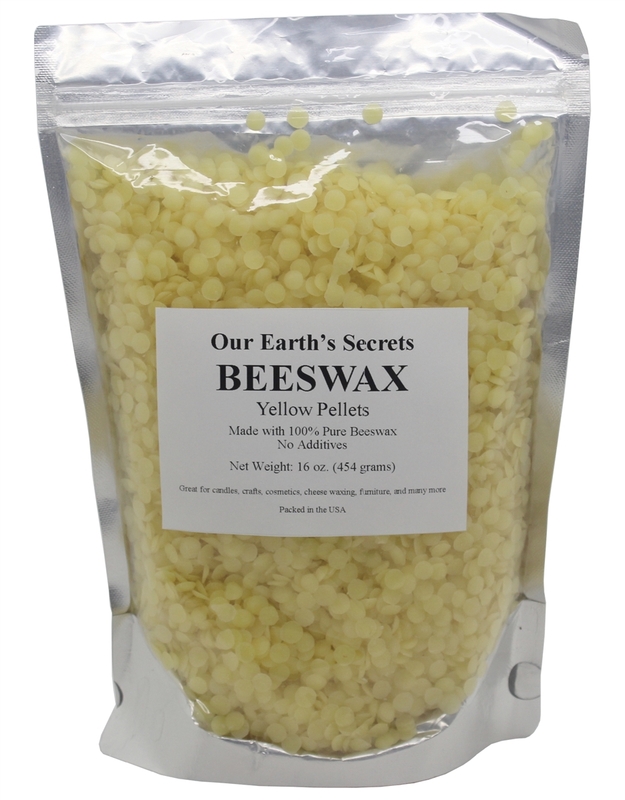 Our beeswax is hand packaged in 1 pound, sealed bags and ready for you to use. 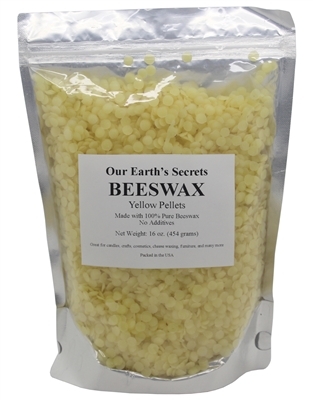 Beeswax has a high melting point range, of 62 to 64 °C (144 to 147 °F). If beeswax is heated above 85 °C (185 °F) discoloration occurs. Use this wax in creams & lotions for extra body, in balms and body butters for stiffness and rigidity and in soaps and candles for hardness.